The Werk Out Music And Arts Festival 2019 – Tickets On Sale! 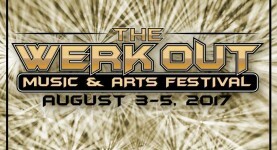 Tickets for the 10th annual addition of The Werk Out Music And Arts Festival are now on sale! Go to thewerkout.eventbrite.com for details! Grab Tickets & VIP Passes for the 2017 Werk Out Music And Arts Festival RIGHT HERE!